All machines go through a 100 point Service Check before being delivered to your home for FREE. Add stitch regulation to any machine! Ask for special pricing for setup with a comprehensive education on how to use your machine. Most starting at $300! * Other machines may be available, please call your local store for more information. A 90 Day Parts and Labor Warranty - Each of our trade-in machines go through a 100 point service check and are fully serviced and tested prior to being available on our showroom floor. Everything on this machine works properly and is ready to go home with you! 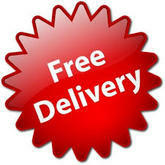 NOTE: We offer free delivery within a 200 mile radius of any of our stores. Delivery beyond the radius is $2.00 per mile. For distances greater than 400 miles, we may elect to ship with a carrier to the nearest terminal and a minimum $500 crating fee may apply. We offer professional setup for an additional charge. ​Further, we provide the same delivery, setup, training, and support for your pre-owned machine as we do with a new machine purchase. This pre-owned longarm quilting machine was $13,499 NOW for​​ $11,499. This pre-owned longarm quilting machine was $12,799 NOW $12,499. This pre-owned longarm quilting machine was $12,799 NOW $11,999. This pre-owned longarm quilting machine was $12,799 NOW $12,199. This pre-owned longarm quilting machine was $10,999 NOW $9,999. This pre-owned longarm quilting machine was $9,999 NOW $9,499. This pre-owned longarm quilting machine was $9,499 NOW $8,499. This sit-down machine was $9,499 NOW $7,999. This pre-owned longarm quilting machine was $8,999 NOW ​$8,499. This pre-owned longarm quilting machine can be yours for ​$8,499. This pre-owned longarm quilting machine was $8,499 NOW ​$7,999. Koala Table 36" by 45"
This pre-owned longarm quilting machine was $6,999 NOW $5,999. This pre-owned longarm quilting machine can be yours for $6,499. This machine was traded in for an INNOVA 26 Lightning Stitch. This pre-owned longarm quilting machine can be yours for $4,499. This pre-owned longarm quilting machine was $3,899. ​This pre-owned longarm quilting machine can be yours for $3,899. This pre-owned longarm quilting machine can be yours for $3,499. This pre-owned longarm quilting machine can be yours for $899. Other machines are available, please call your local store for more information. Shipping, delivery and set-up as well as crating and shipping are within our capability. We also handle international orders. Please call for process details and pricing for these services. Call us! 866-556-2552. We buy machines everywhere! We buy and sell used longarm machines! when you purchase a new Innova no matter where you live. We will buy your used machine even if you are not buying! We give a fair market value. CALL US TODAY TO SEE WHAT YOUR MACHINE IS WORTH! We never stop so you always start! ​Call us today to have your machine serviced or repaired. ​We service and repair ALL makes and models of longarm quilting machines.